Educating children about money, wealth and financial planning is a critical step in helping them to build their futures. As a wealth creator and thoughtful investor, you want to be sure your children understand how to manage their finances and make good, informed decisions when it comes to spending, saving and investing. We understand that talking to children about money and wealth can be tricky. With families in mind, we have put together a special program for Raising Financially Responsible Children. Below you will find a series of articles, webinars and checklists to help you begin this important part of your family's financial future. 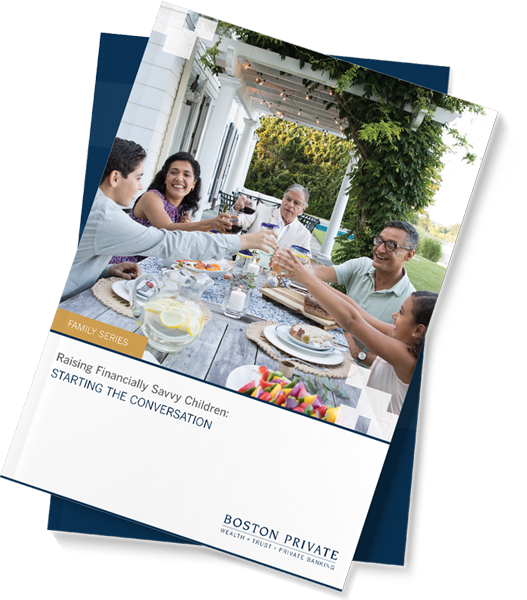 For more information on how to get going, download a free workbook filled with games and activities to help initiate discussions about money with children of all ages.